" This is an excellent machine. Much quieter than my Resmed Compact. I particularly like the humidity control. " 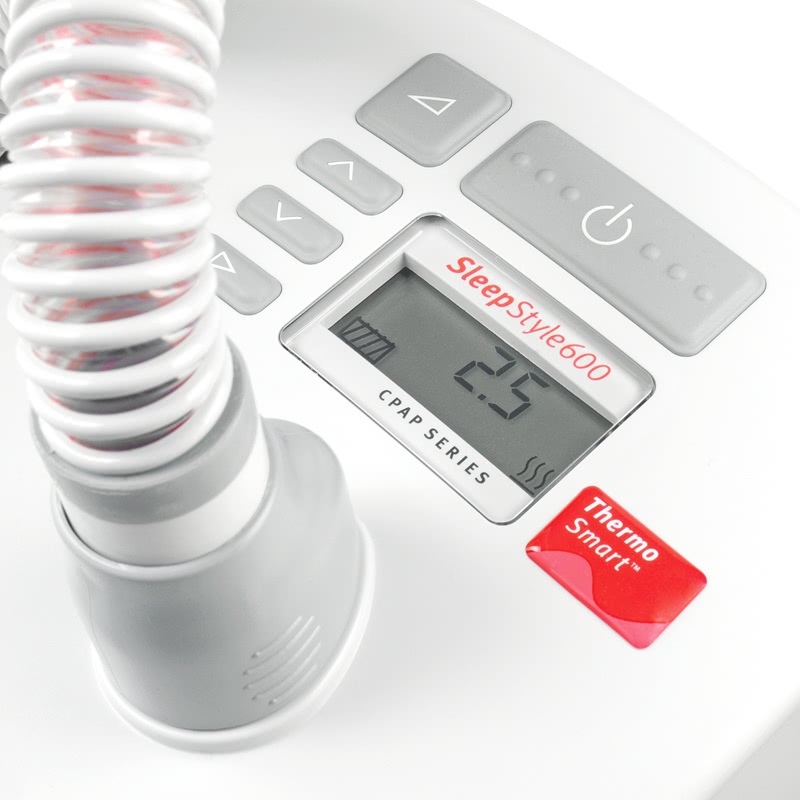 The SleepStyle 604 with Thermosmart is the most advanced, high end humidification system in the world. 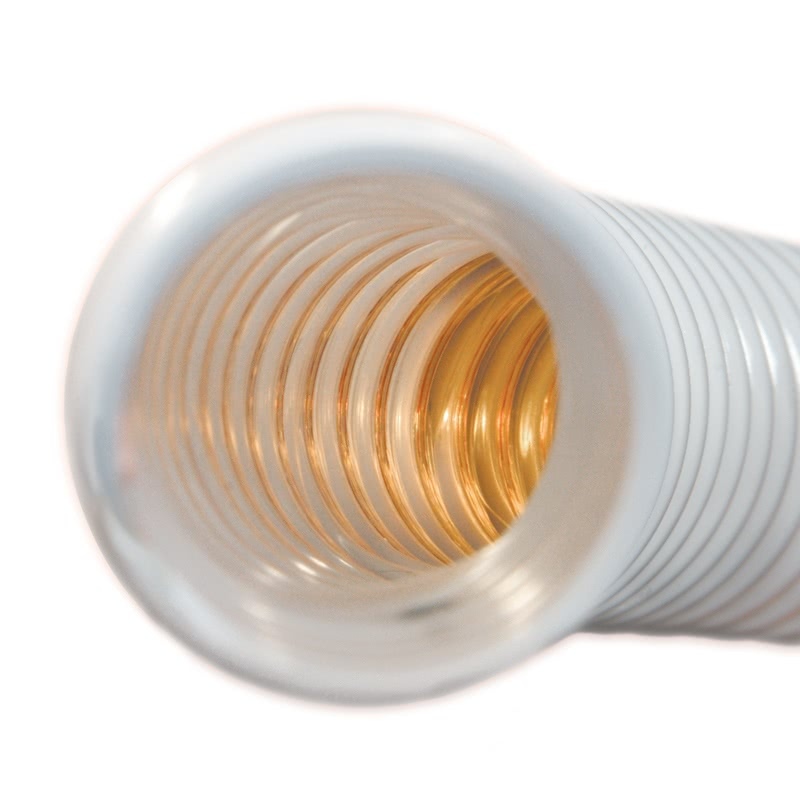 The HC604 uses patented heated coil tubing to eliminate rainout and will automatically adjust to deliver the exact amount of humidification you need as you sleep. 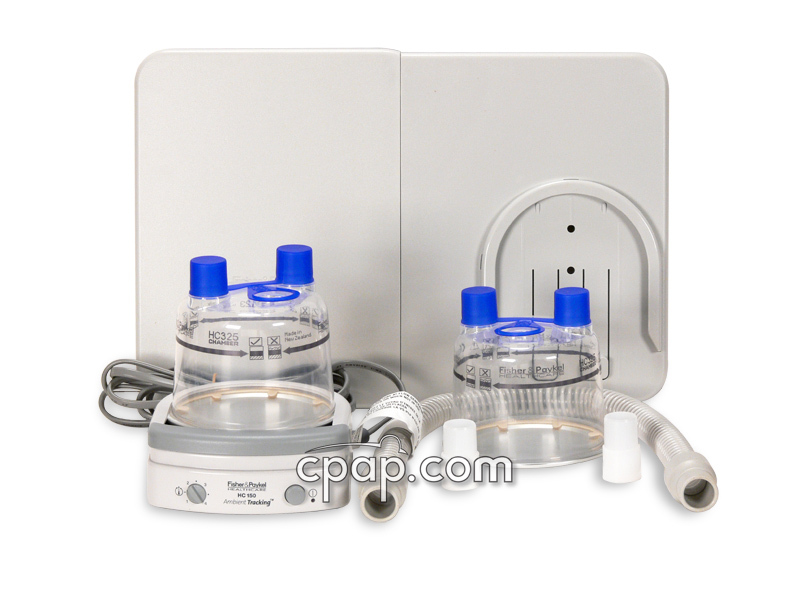 Until very recently the benefits of humidification in CPAP therapy have been compromised by changing ambient temperature. Changes in temperature cause condensation and mask pressure instability in addition to humidity loss in therapy. As the air travels from conventional heated humidifiers to you via your hose, heat and moisture are lost due to the temperature of the hose and the air around it. This may result in rainout, or simply a compromised humidity level in the air that is traveling through the hose. 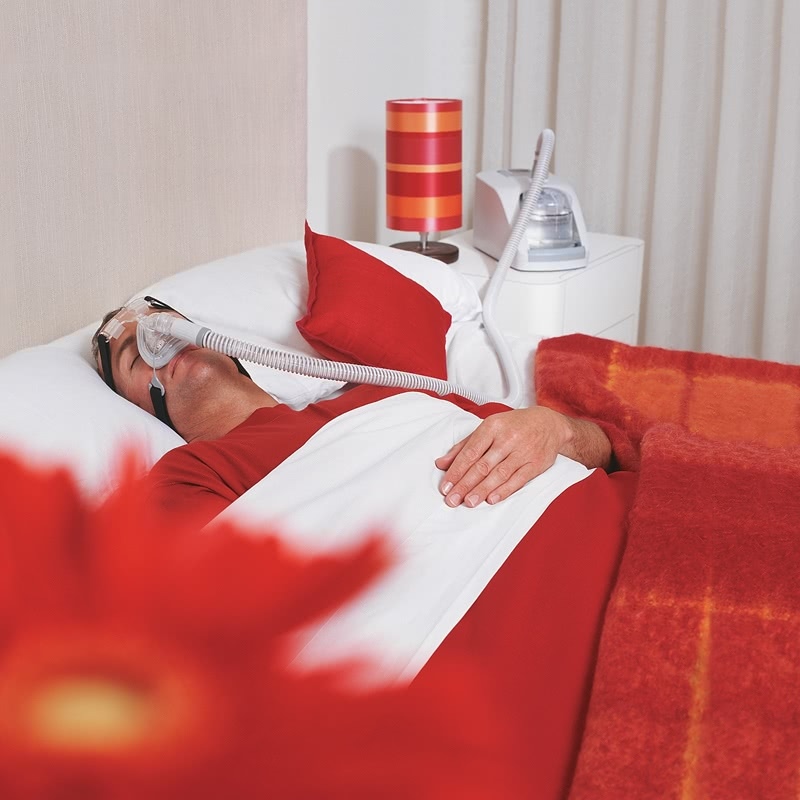 ThermoSmart Technology, with its heated breathing tube adapted from sophisticated intensive care humidification, delivers higher and customized humidity levels that are maintained throughout the night, regardless of ambient temperature change. 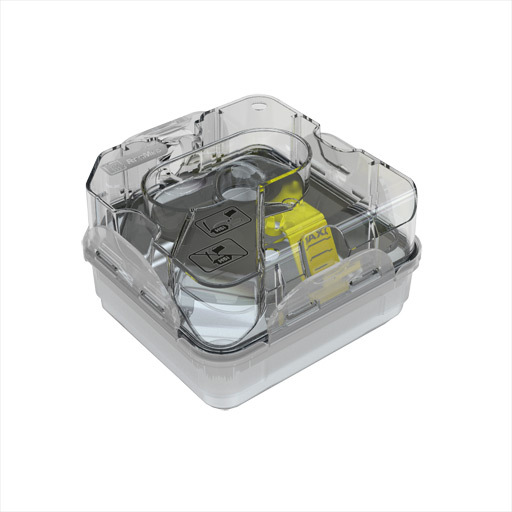 ThermoSmart Technology provides optimal patient comfort and therapy effectiveness through prevention of condensation and absolute mask pressure stability, but also through optimal humidity delivery in all environments. 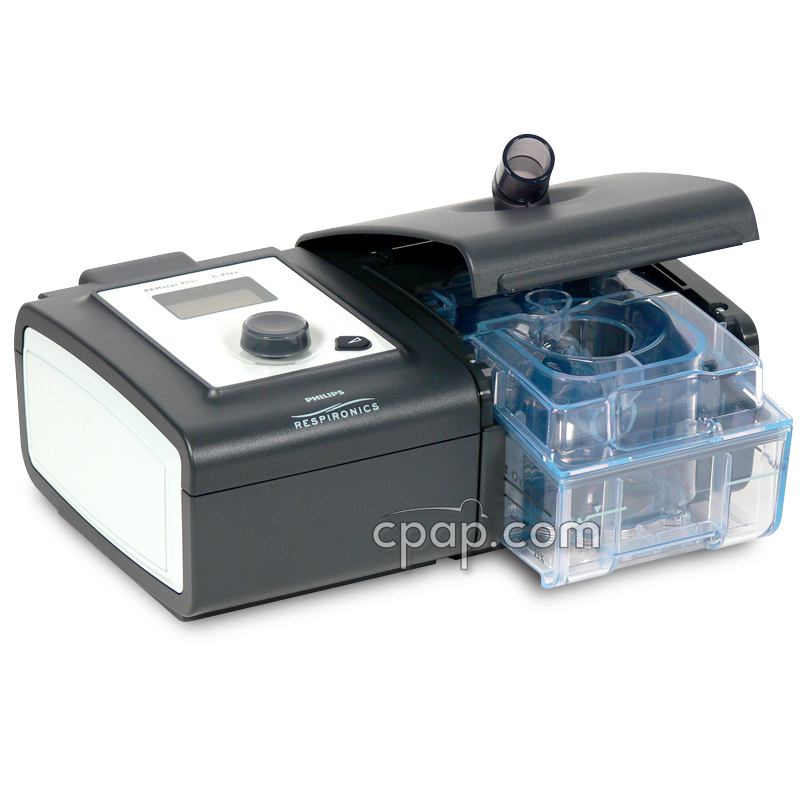 Research has shown that CPAP users experience mouth leak up to 31% of total sleep time. Mouth leak is known to cause excessive drying of the nasal mucosa and congestion due to increased nasal airway resistance. Humidity levels of 30mg/L (absolute) at 30°C have shown to prevent any increase in nasal airway resistance following a mouth leak. Conventional humidifiers are unable to supply these levels. Typical conventional humidifier will only provide humidity levels of approximately 18mg/L (absolute) at 22°C. Any efforts to increase this will only result in condensation. 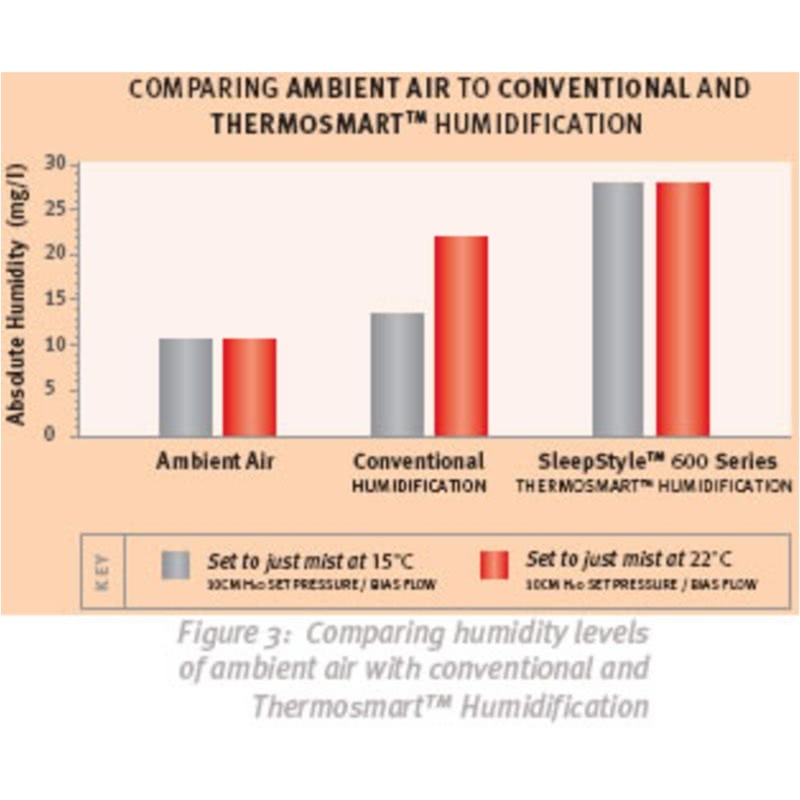 Currently, optimal humidity delivery is only possible with ThermoSmart Technology. It results in optimal sleep performance due to higher comfort levels leading to improved patient acceptance and compliance. Dimensions 10.7" x 6.7" x 6.9"
This was the world's first CPAP to combines a computer chip and a heated hose to deliver the greatest absolute humidity at the nose without condensation in the hose. 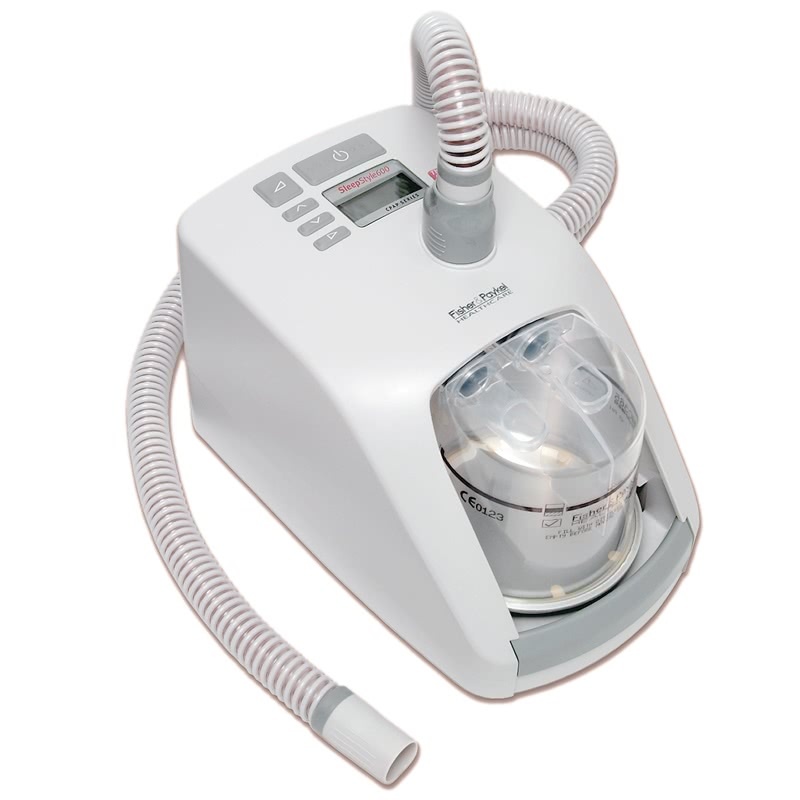 If you have trouble with your sinus or have a dry mouth when on cpap, this is the machine for you. 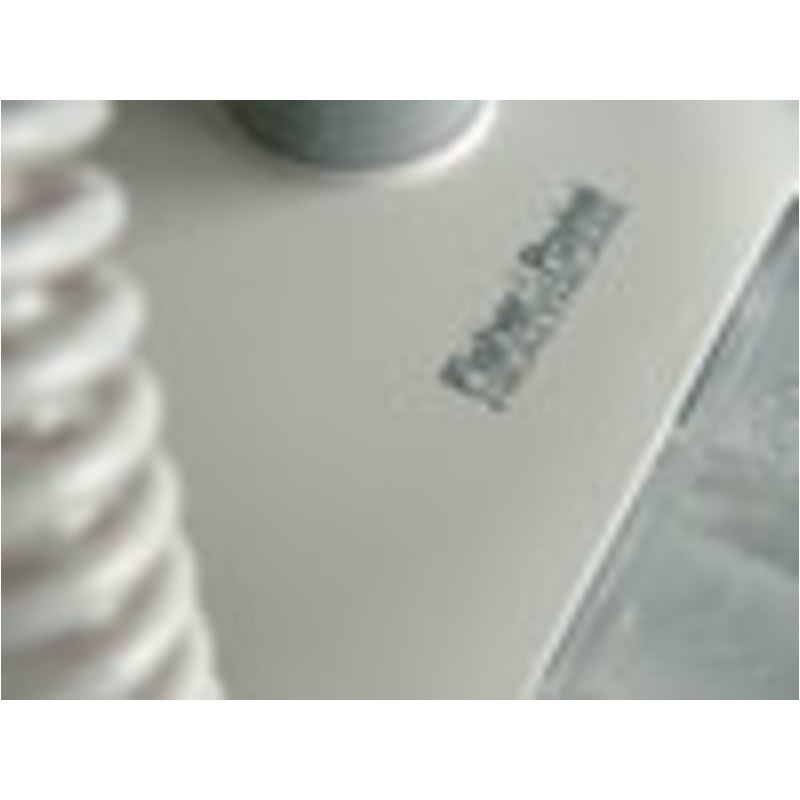 This is the fourth generation of CPAPs from Fisher & Paykel, the first company to offer heated humidifiers for cpap related use. The SleepStyle HC604 must be used with the ThermoSmart Heated Hose for 600 Series CPAPs. A standard CPAP hose is not compatible. You can use any mask with this machine. 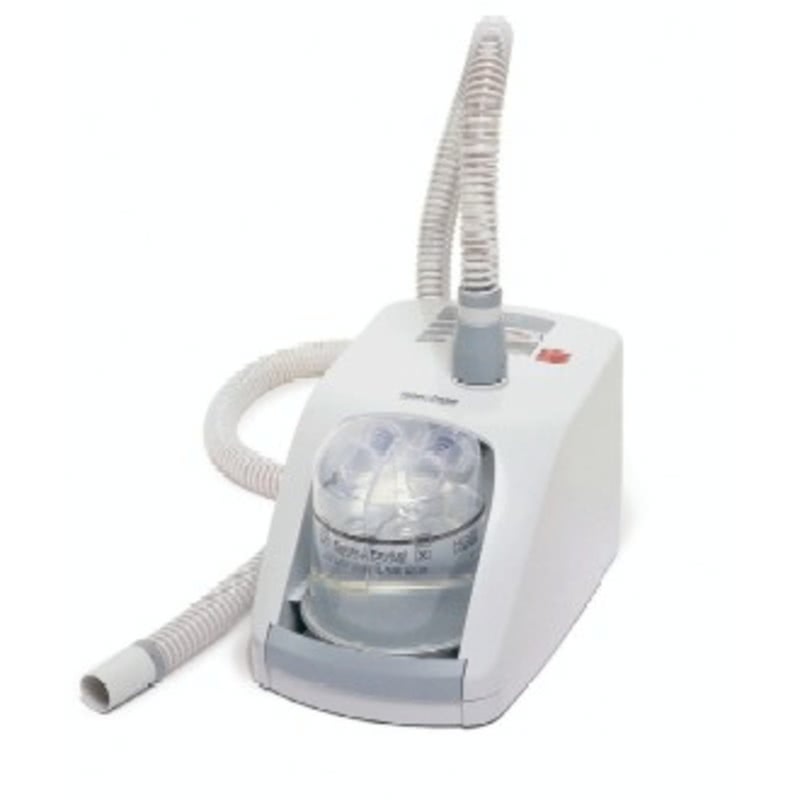 The machine may be used with the ComfortCurve mask, however it may require some effort to connect the mask hose to the machine hose and does increase the the hose length. 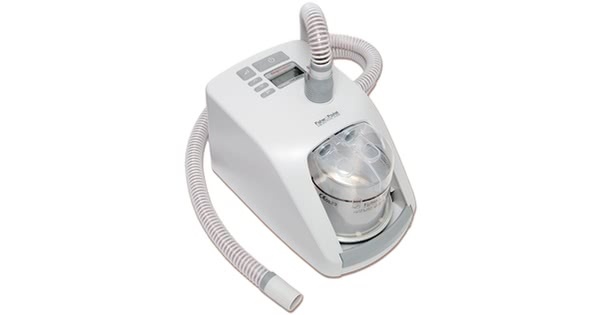 If you want to use this machine with the ComfortCurve, we suggest purchasing a hose connect to aid in connecting the mask to the hose.